Blindflug Studios has announced that Airheart: Tales of Broken Wings will release on Nintendo Switch this month, a dieselpunk aeroplane action rogue-like game in which every level is built on top of the previous one. 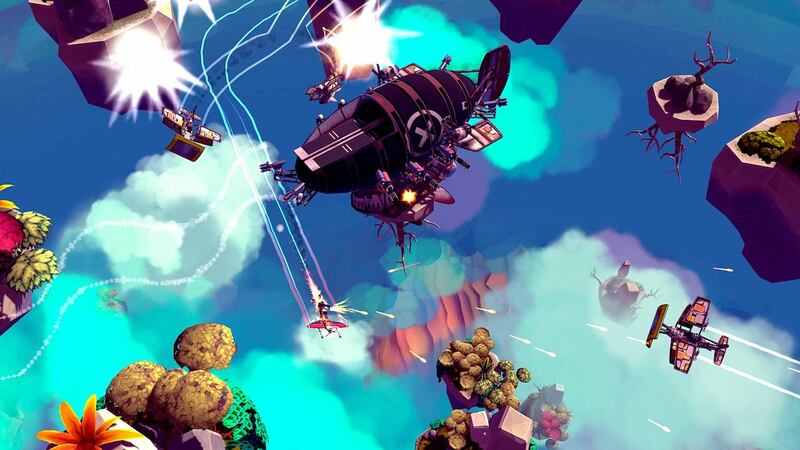 You play as Amelia, a young pilot and fisherwoman that wishes to reach the world’s edge. Thanks to pirates roaming around everywhere, sky fishing has become a really dangerous job. After arming your aeroplane and starting your engines, you set out to make the catch of a lifetime in an experience that has looked to combine free-roaming twin-stick gameplay with a colourful world. The scraps that you salvage from your defeated enemies can be used to craft new parts for your aircraft – with the chance to build and try out more than 40 weapons and parts. Airheart: Tales of Broken Wings will release on the Nintendo eShop for Nintendo Switch worldwide on January 31st, priced at £11.99.